CAROLE: I watched my beloved die by inches. You wake up everyday knowing they are never going to be as good again as they are today. It’s the way that illness, ALS, works. The year 2001; I was numb. 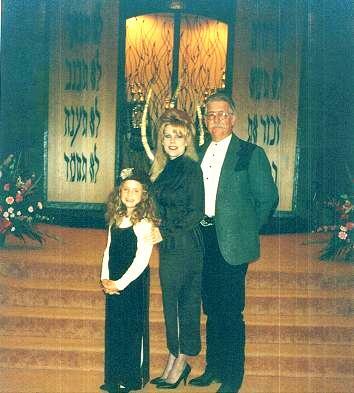 After Mike died, I had emergency surgery, and then my dad was diagnosed with cancer and died nine weeks later. I lost my dad four months after I lost my husband. Mike passed away six days before Christmas and right in the middle of Hanukkah. There’s never a good time to have something like that happen to you, but there are better times than others. EYE: Even though you knew that Mike’s illness could not be cured, you can never truly prepare for death. CAROLE: There are some dumb things people say: “Well, at least you were prepared.” When someone says that to you, what you are hearing is that you knew it was coming so you don’t have a right to mourn. There is a lot of distance between concept and reality and death was only a concept. We got that diagnosis and knew what it meant, but you spend all of your energy on survival. You don’t think about the inevitable. The only thing you can be prepared with is: “Do I know where the papers are?” There is no way you can be emotionally prepared. As soon as I can convince the world of that, the better everyone is going to feel, because what I am doing is giving you your right back to mourn. What I do now is a way to honor what Mike asked and to use this experience to the good by helping other people. Shortly before he died, it didn’t dawn on me that there was a bigger picture, and it certainly didn’t dawn on me that I could take a passion like writing and put it to that kind of use. EYE: Could you have done this within the first year of Mike’s passing? CAROLE: Absolutely not! I’m a firm believer that you can’t lead where you haven’t been. How can I go on and immediately talk about dating if I haven’t done it myself? I didn’t even think about it until 2005. I understand that when you look at someone who is younger and widowed, it’s unusual but it’s not uncommon, and we have the audience to prove it. Don’t let the word “young” put you off. We help widows well into their 80’s. It’s a state of mind. I just wanted to address issues that no one else is talking about. EYE: Are you trying to de-stigmatize widowhood? CAROLE: I had the exact same image of a widow that everyone else has. The title for my book actually came from my husband’s funeral. There were almost 1000 people there. 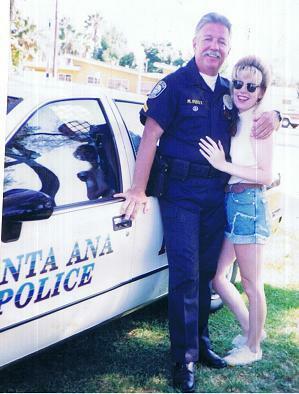 He was a high-profile narcotics officer. It was very grand and beautiful, and he deserved it all times 10. Widows are retired. They wear black. They go on cruises. That’s why I am so committed to breaking open this stereotypical image of a widow. 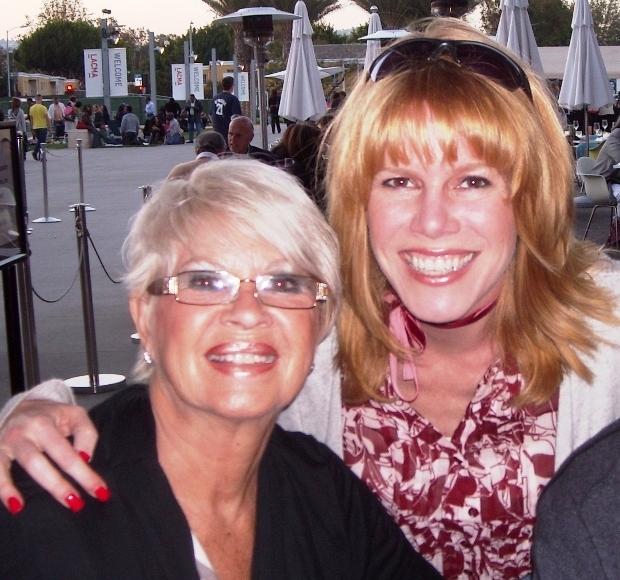 The face of widowhood is not what everyone thinks. It’s women in their teens, 20’s, and beyond, women who are trying to raise adolescent kids in the worst economy in 80 years. That’s what I’m trying to accomplish. We are here too. We don’t just want to talk about grief. I was looking for support and advice, for answers. I’ve done pain. That was the genesis of my book. What I couldn’t find, I decided to create. EYE: You state that 40% of the over 10 million single mothers in the U.S. today are widowed, and that the demographic of the younger widow continues to grow dramatically. You’re basically saying that widows are not alone. CAROLE: Wars have increased the statistics and the number of widows. I understand that my kind of approach to grief with its tongue-in-cheek humor is not for everybody, but it sure seems to be for an awful lot of people out there. It doesn’t have to be all gloom and doom. You are entitled to live and love again. And let us laugh, let us learn, and let us figure this out together. EYE: You created the website first and then wrote your book. There are so many issues to deal with. But what is the biggest and most common concern of people living this “new normal”? CAROLE: Aside from grief, the one overwhelming emotion is guilt. I can give you “guilt” for every method of death there is. The “shoulda, woulda, coulda guilt” as I like to call it. “I could have done…, I should have prevented this, etc.” It took me awhile to realize that I did the very best I could under some very ridiculous circumstances. I teach taking control over your healing journey. This is your journey. This is not about somebody else’s discomfort. It will send a message that you are doing this thing your way in your own time. EYE: Is the main difference between younger and older widows the issue of dating? CAROLE: No. No matter the age, they first want the permission. Then they want to know how to go about it. The biggest difference between older and younger widows is actually children because the issues are different depending on your age. I’m over ten years widowed. 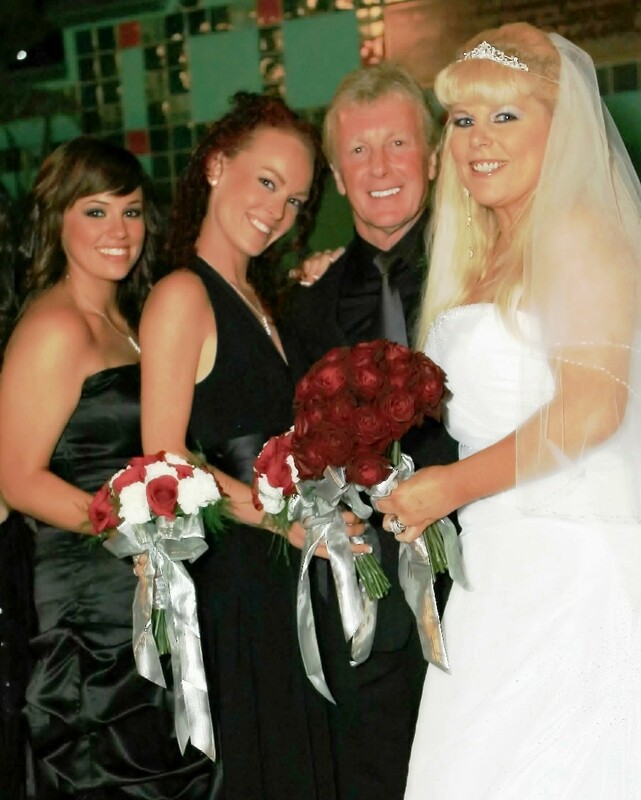 I remarried in 2009. All of that said, I still miss Mike. I still love him. I still talk to him. I used to cuss at him when I would come home from so many stupid dates. “Thanks Mike, you did this to me!” Ha. It all comes from within; it’s your own personal healing timeline. I knew I had to get to know this person, me, a 40-year-old widow with a young child, a single parent. I’m not the same person I was when I got married. I had to figure this out before I invited someone into my dynamic. EYE: How do you define “moving forward”? Is getting remarried a way to move forward? CAROLE: To me, remarrying is coming full-circle again, and then it’s starting a new thing. I never hide the fact that I’m remarried, but I don’t shove it down people’s throats. 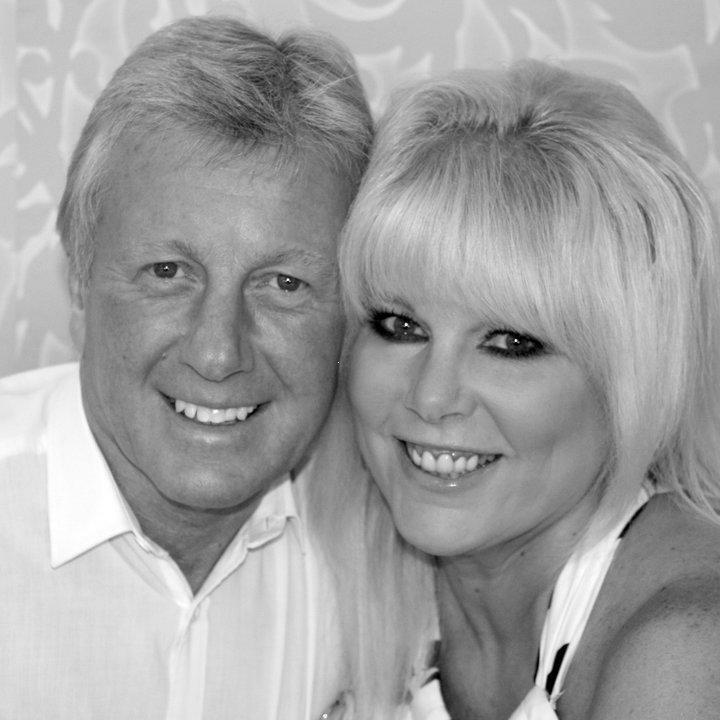 If you come to our website and see a photo of me with me my new husband looking happy, how is that going to make the new widow feel? I just don’t harp on it, but if I’m asked about it, I am very forthcoming because I like to think of it as a beacon of hope. You can go on… there is love out there again when you are ready and when you choose it. I met my husband in 2007, and I was open to the possibilities of love in my life again. Not every man gets what I do. They feel threatened. My job is to talk about my late husband anecdotally. It takes a special person to not feel threatened by all the attention on Mike. It takes an even bigger person to roll up his sleeves and to go to work along side of you. 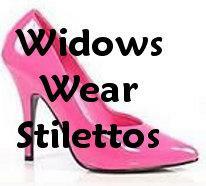 My husband David is the Executive Vice President of “Widows Wear Stilettos.” I think it projects hope. EYE: There are many myths when it comes to widowhood. What is the one myth you hope to debunk for good? CAROLE: The one myth that I will scream from the mountaintops until I can’t scream anymore is the word “closure.” It is a myth. It does not exist. I’m tired of the word. It really, really upsets me. The problem is that a widow hears “You should have closure,” and she’s thinking “I don’t feel closure… something is wrong with me.” And that hurts my heart. It’s a grief revisit. It’s opening up the wound again. What we have to do is to tell these people we know you are hurting again…let’s talk! I think an open dialogue is the healthiest thing in the world. We have to get rid of that word closure! We move forward from these horrible moments in our lives; we don’t close them. EYE: My mom said that sometimes she feels sadder now than when my dad passed away….why? People don’t realize it can actually be worse with time. Your job is to support the widow’s decisions (in this case, your mom’s) as long as they are healthy, proactive and constructive. EYE: Your work is far from finished. 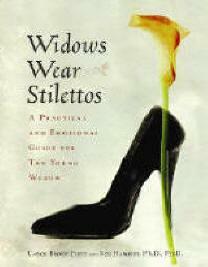 What is the future of “Widows Wear Stilettos“? CAROLE: My follow-up book “Happily Even After: A Guide to Getting Through (and Beyond!) the Grief of Widowhood” comes out in 2012. We have started a non-profit, “The First Month Foundation”, that will raise money for widows in need. 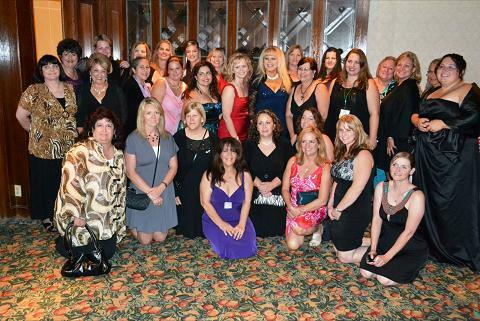 We have over 30 in-person WWS support groups nationwide. And we just had Camp Widow 2011, an event we organize every year. We don’t care about age, sexual orientation, marital status; if you lost a person whom you committed the rest of your life to then you belong at “Widows Wear Stilettos,” plain and simple. EYE: Do you think Mike is watching you and feeling very proud of what you are doing? CAROLE: I’m sure he’s saying, “Oh, apparently she hasn’t shut up!” HAHA. I feel humbled. I feel blessed especially when you look at how virtually impossible it is to be unknown and unpublished and get book deals, and be distributed throughout the world. The odds are overwhelming against it. Somehow this cow got through the herd. And when you get a letter saying, “Thank God I found WWS. I wouldn’t have known what to do without you,” how could you not be affected? You see friendships happening around the country because of the community of WWS. It’s a thought-creating community. It’s about creating a safe place where no one has to apologize for tears, and you don’t have to explain anything. Everybody gets it! EYE: Last question. Just how many pairs of shoes do you own, and do you have a favorite pair? CAROLE: I have to admit I have over 100 pair of shoes and a pair of 6-inch heels with a 2-inch platform in the front. I call them my stilts…those are my favorite! EYE: I thank you for all the advice to help with my mom and look forward to your next book next year. Keep up the wonderful work on behalf of widows everywhere and their families.